Newly revised and updated, this electrifying guide has been praised by doctors, health experts, and readers who have taken their own self-health challenge. Describing himself as "an ordinary guy who discovered an extraordinary secret," which he now feels compelled to share with everyone, J. Michael Zenn completely changed his own life when he began a quest to get healthy. With some simple but profound improvements to his diet and everyday habits, Zenn lost fifty pounds and six inches off his waist and--within just a few months--felt and looked younger than he had in two decades. 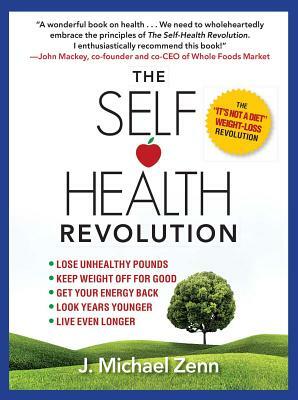 So he quit his job and spent a year reading 200 books and interviewing experts in order to write about the powerful message he calls "the self-health revolution." Now you can join the revolution of self-health throughout America. Take the 10-day challenge. You'll lose weight, keep it off, feel better, and have more energy than you thought possible.